The IOCDF’s Annual OCD Conference is the only conference of its kind in the world, bringing top experts in the field together with individuals with OCD, their families, and supporters. As such, the Annual OCD Conference is a great place for professional attendees to network with and learn from other treatment providers and researchers from across the country and world. In 2019, we will be offering up to 18.0 CE/CME credits for mental health professionals throughout the course of our three-day Conference, pending Accreditation approval. We will additionally offer several Pre-Conference Training Sessions on the Thursday prior to the Conference. 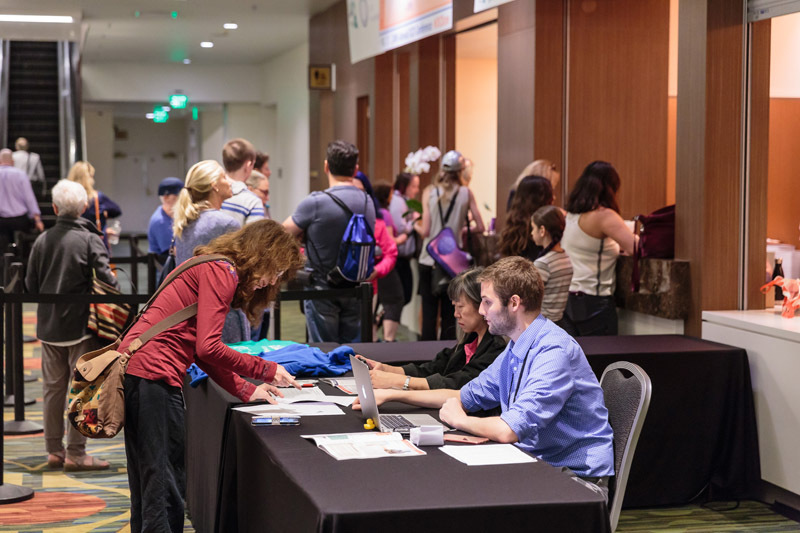 Please Note: Continuing education credits are offered at the Annual OCD Conference for mental health professional attendees only; those paying for non-professional registration fees cannot apply for credits. Continuing education credits are offered for approved sessions only, which are denoted as "CE talks" both in the online schedule and Conference Program Guide. In order to receive credits, you will need to attend approved sessions, sign in and out each day, and complete online evaluations for all sessions attended. More information on continuing education (CE/CME) credit being offered at the 26th Annual OCD Conference will be available in May 2019. If you have any questions regarding Continuing Education information at the Conference, please contact Wilhelm Engelbrecht, IOCDF Program Coordinator, at wengelbrecht@iocdf.org.